Kids Can be a part of something bigger than themselves. 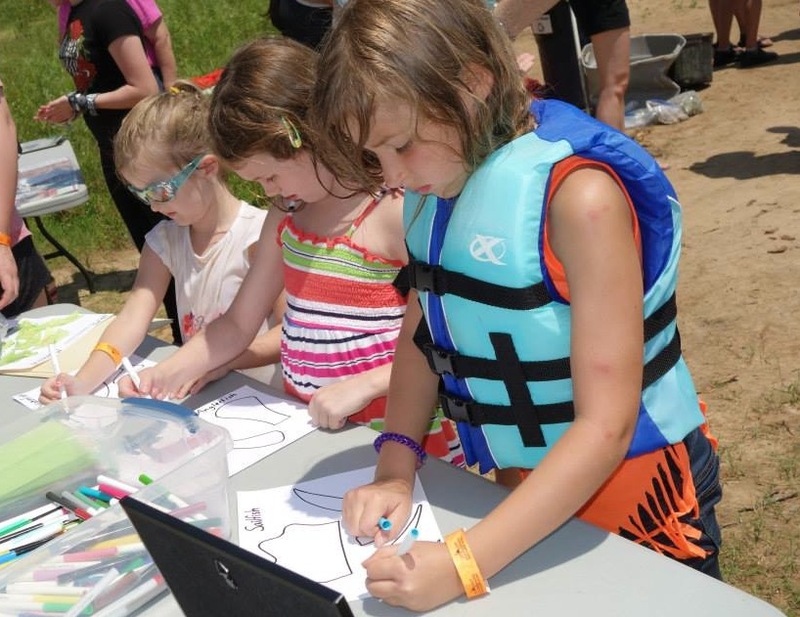 Kids Can collaborate. Kids Can make a difference. 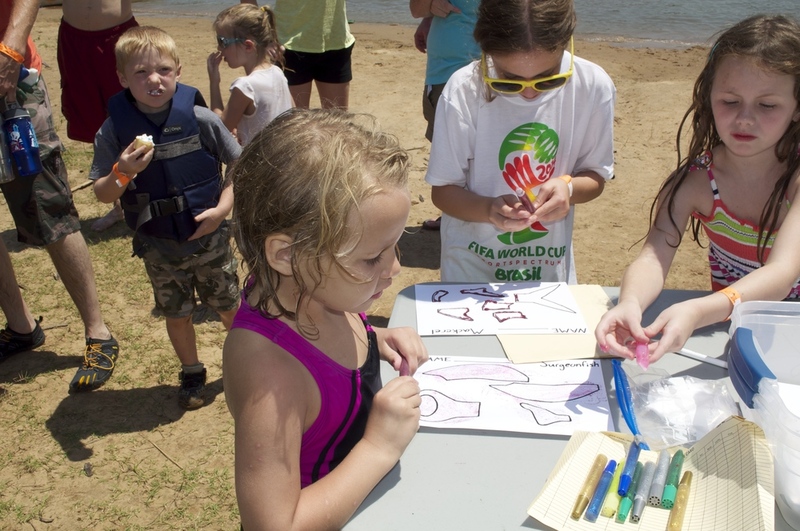 This year, our Kids Can project is a large-scale free standing painting of four oceanic environments. We selected several fish that exhibit specialization in each of these environments. Adaptation is the way a species has changed over time to survive in its environment the best way possible. The four fish we have chosen for this project exhibit adaptation to each of their four oceanic environments. The first fish is the Surgeonfish who lives in the coral reef environment. These fish are brightly colored and have have adapted a defense system called a thorn tail. They have spikes on their tails which they can whip at predators to protect themselves. The next type of fish is the Mackerel. Mackerel usually live along coasts and stay in relatively shallow water. Mackerel have adapted to be able to swim in schools, large groups of fish that follow the idea of "safety in numbers." Mackerel have lines of extremely sensitive nerves on their sides that let them sense the movement of their school and follow it. Another fish is the Sailfish who swims in the open ocean. Sailfish are adapted for speed. At about 60 miles per hour, they are some of the fastest fish in the ocean! They have a large fin on their backs that allows them to make sharp turns. When they are at top speeds, all their fins fold tightly to their bodies and allow them to move like a bullet through the water. The last fish is the Anglerfish. Anglerfish live in the deepest, darkest part of the ocean. They have adapted to be able to hunt in absolute darkness. Each fish has a lure attached to its back that glows, attracting smaller fish that it can eat. It can then catch the fish easily because its mouth is turn up, towards its prey. We will have the coloring sheets available at and after the grand opening of the Marlene Yu Museum in December. If you cannot attend these events or would like to participate sooner, please contact us at rainforestartfoundation@gmail.com to learn how. 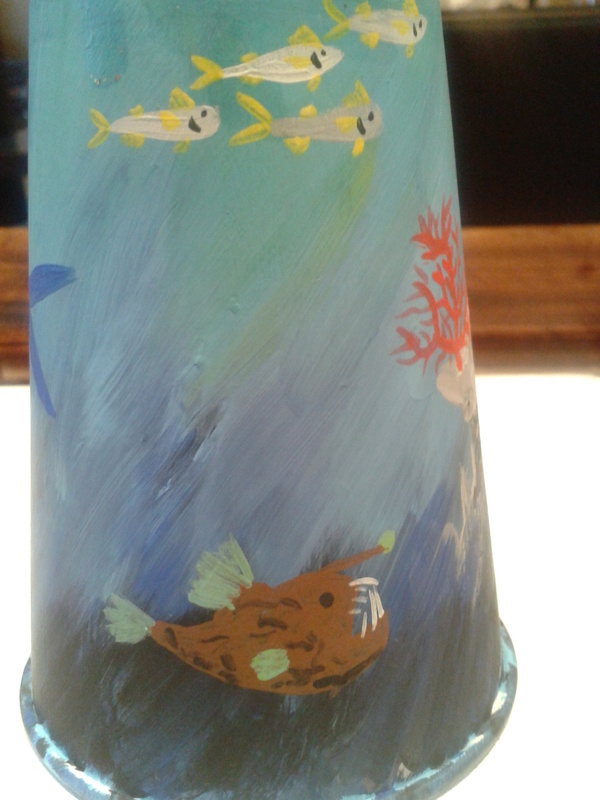 As we collect these bottle fish, we will attach them to our ocean painting. 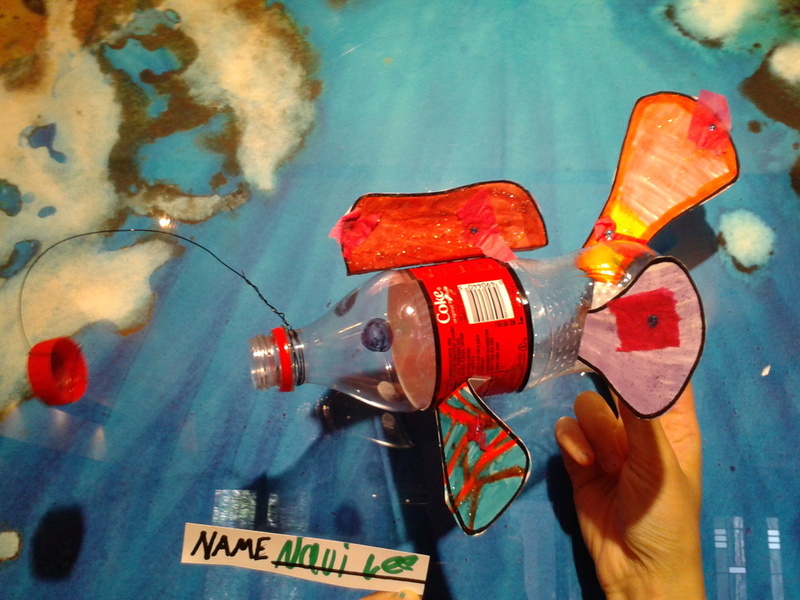 Once the ocean is full of bottle fish, we will exhibit the free-standing, multimedia painting in the Rainforest Art Foundation with acknowledgements to all the kids who made a fish for the piece! We hope that everyone who takes part in the project gets a chance to come see his or her artwork in the Rainforest Art Foundation. 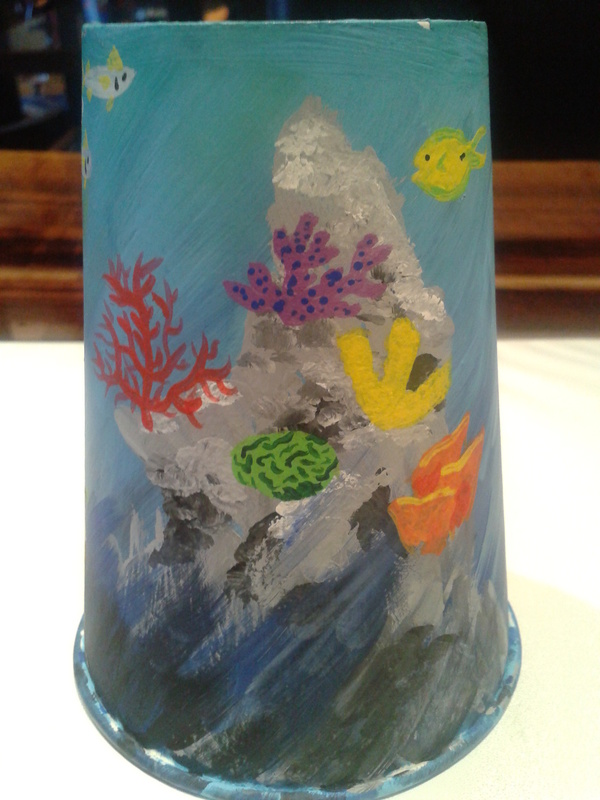 Below is a small model of what the painting will look like with example fish painted in their environments.